Humorous, lighthearted and endearing … and great passion too! I really loved every character in this book, there just aren’t any not to like, which is rare for almost any book on the market. 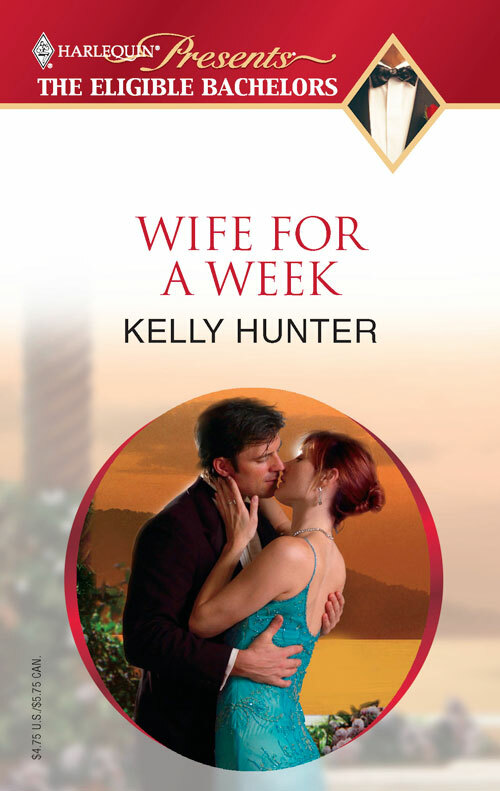 This is a wonderful talent that the author Kelly Hunter has. Her wit is *wonderful* and can’t be beat. WOW… thank you Kelly Hunter for another surprisingly lovely read. I loved the imagination of this story, the heat and especially the humor! 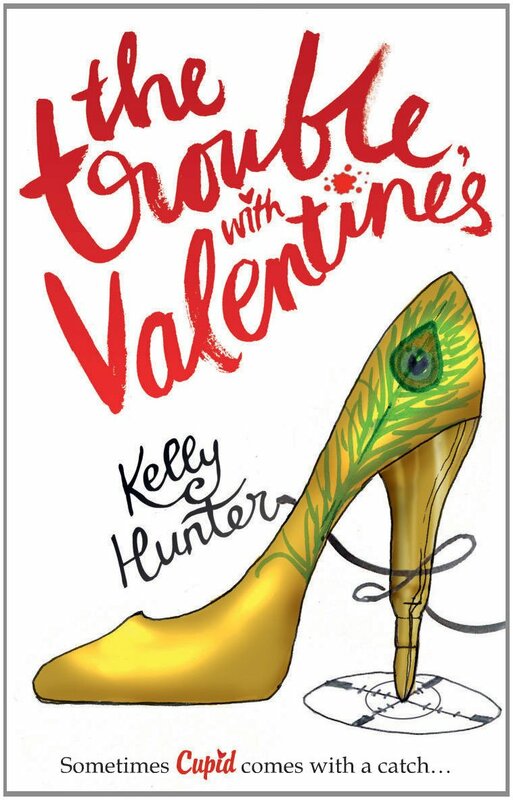 Give me a book filled with love, humor and intelligent characters any day….and that is just what Kelly Hunter’ s books do. Buy it, read it and savor it for as long as you can until reality rears its ugly head once again! HALLIE Bennett had been selling shoes for exactly one month. One long, mind-numbing month working solo at the exclusive little shoe shop in London’s fashionable Chelsea, and she really didn’t think she’d last another. Back in the storeroom she’d sorted every pair of shoes by designer, then model and finally by size. Out here on the shop floor she’d arranged the stock by colour and within the colours, by function. Dusting and vacuuming? Done. Serving customers? Not yet but hey, it was only midday. Hallie picked up the nearest shoe, a pretty leopard print open-toed sandal with an onyx heel and tried to figure out why anyone would actually pay three hundred and seventy five pounds for a pair of them. She dangled it from her fingertips, turned it this way and that before finally balancing it on her palm. A quick jiggle made the shoe nod. ‘I think so too but what can I do? They never listen. These women wouldn’t be caught dead in a size eight shoe. Now if they were men it’d be different. As far as men are concerned, the bigger the better.’ The door to the shop opened, the bell tinkled, and Hallie hurriedly set the shoe back on its pedestal and turned around. The woman who had spoken was a study in contradictions. Her clothes were pure glamour and her figure was a triumph over nature considering that she had to be in her late fifties. But her wrinkles were unironed, her hair was grey, and her “darling” had been warm, possibly even genuine. Hallie’s smile widened and she spared a glance for the woman’s companion as he followed her into the shop, a glance that automatically upgraded to a stare because, frankly, she couldn’t help it. As far as women’s fashion accessories went, he was spectacular. A black haired, cobalt eyed, dangerous looking toy who no doubt warned you outright not to bother playing with him if you didn’t like his rules. He was like a Hermes handbag; women saw and women wanted, even though they knew the price was going to be astronomical. And then he spoke. His eyes narrowed. Hallie smiled back. ‘How do you feel about travel?’ he asked her while his mother preened. ‘Wife?’ said Hallie. Wife? That’d teach her to shake hands with strangers. Nicholas Cooper’s smile was lazy. His mother’s was hopeful. Probably they were both mad. ‘He’s loaded,’ said Clea encouragingly. He wore hand stitched Italian leather laceups. Size 12. Wide. I started my author career with this story, and had a blast when it came to giving my heroine four overprotective older brothers. I embraced their alpha occupations and character traits with glee, never dreaming I might one day have to deliver on them. I’d never deny that the plot for this story is Scooby Doo ridiculous. My knowledge of organised crime is sketchy at best and let’s keep it that way. But the food halls and little wayside restaurants … the specialty shops that lurk in half-forgotten corners … they exist. Years after this story was first published, Harlequin Mira gave me the opportunity to expand this story by embellishing the secondary romance and fleshing out those pesky brothers. I added 30,000 words, and rewrote at least 20,000 words of the original-length story for better fit. This longer length offering is called The Trouble With Valentine’s and to date remains my longest book. If you haven’t read either story, I suggest skipping Wife For A Week and kicking off with The Trouble With Valentine’s. The only trouble? It’s not available as an eBook in all markets.